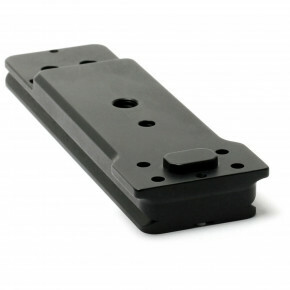 5.88" long, 3 screws Dimensions (Overall L x W x H): 5.88 x 1.5 x .38 inWeight: 4.5 Oz (plate, mounting screws, stop screw), We offer a line of Arca-Swiss style quick-release plates for collared lenses. Our plates have important innovative features that distinguish them from other plates on the market.Dual Safety StopsSafety stops at the front and back of our plates keep your expensive lens from accidentally slipping out of the quick-release clamp. If you wish to use only one or neither of these stops, simply remove them with the hex key provided. 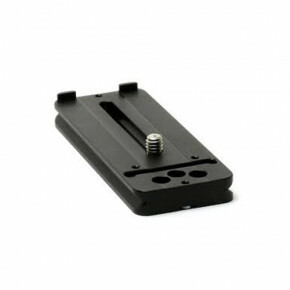 Note: The two stop screws will straddle the length of most quick-release clamps. 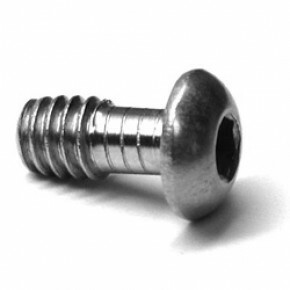 However, the stop screws do limit the amount of forward-backward adjustment available. Wimberley quick-release clamps have special channels that solve this problem. 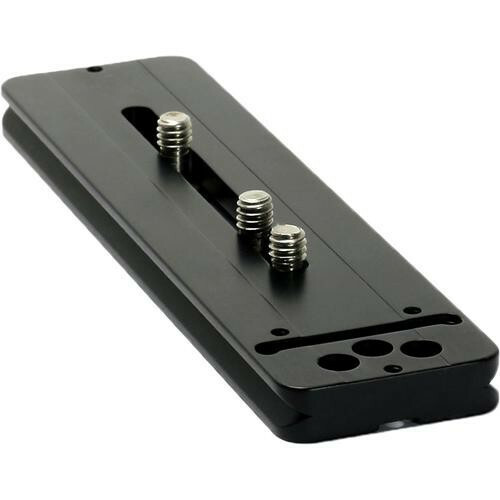 Flash Bracket VersatilityOur plates are designed to accept RRS & Kirk flash brackets as well as our own quick-release flash brackets.Double-Dovetail Cross SectionOur unique double-dovetail design allows you to attach Wimberley quick-release flash brackets to the upper or lower surface of the plate.Anti-Twist NubsThe P-10, P-20, and P-30 plates have anti-twist nubs at the back of the plate. These help to keep the plate from twisting if it is mounted with only one fastener. The unique dual-nub design (as opposed to a single continuous flange) provides better performance when butted against a curved surface. The P-40 and P-50 plates do not have anti-twist nubs because they should be attached with more than one screw.